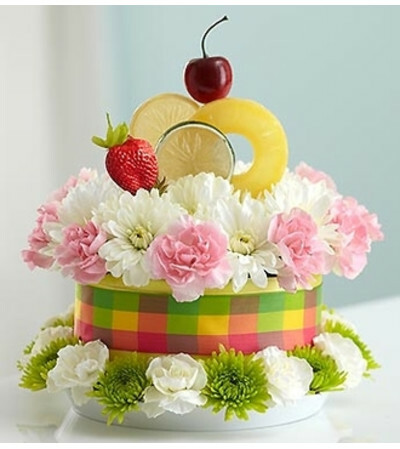 Color their day with lasting smiles – send our fabulous fresh flower fruit cake. 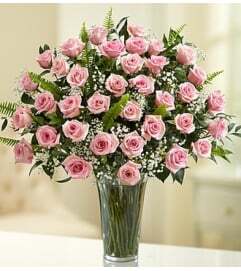 Artistically designed by our florists using the freshest mini carnations and poms, this truly original arrangement is accented with colorful ribbon and topped with a variety of realistic fruit. A perfect pick for birthdays, casual get-togethers or any fruitful celebration. 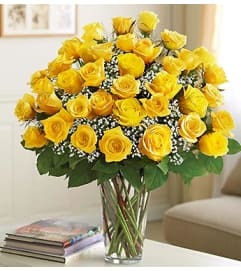 They’re flowers are really beautiful, Great customer care ! delivery was very much on time . I’ve always gotten beautiful flowers at Graceland. I’ve gone in person and asked them to put something together based on my vision. They’re warm and welcoming and I’ve always had wonderful experiences with them.